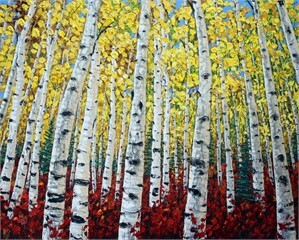 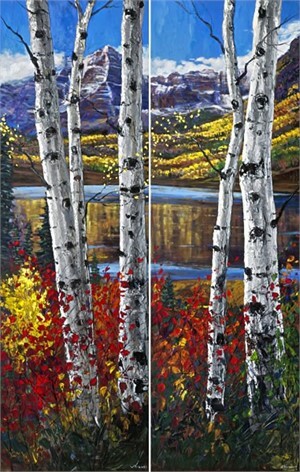 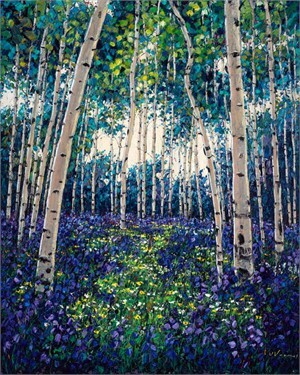 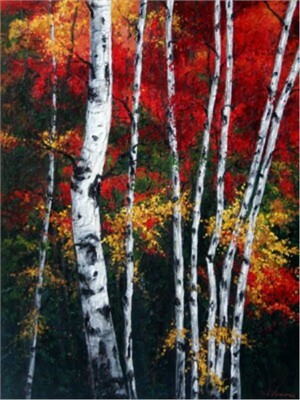 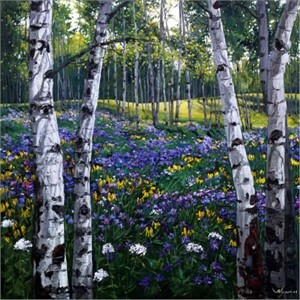 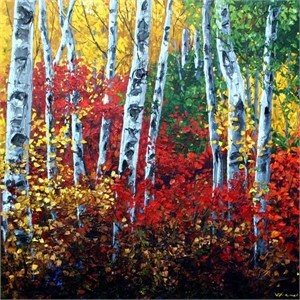 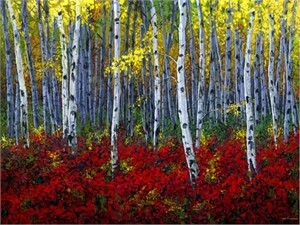 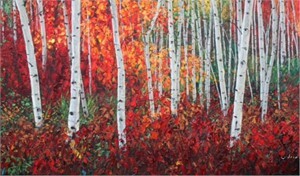 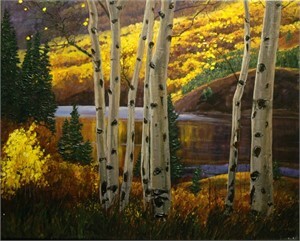 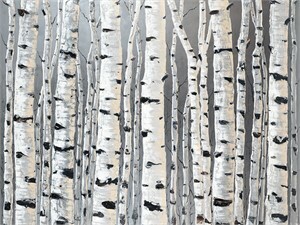 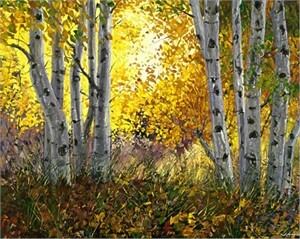 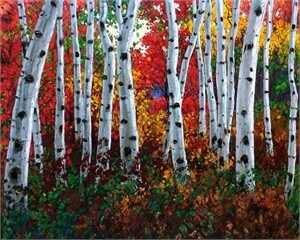 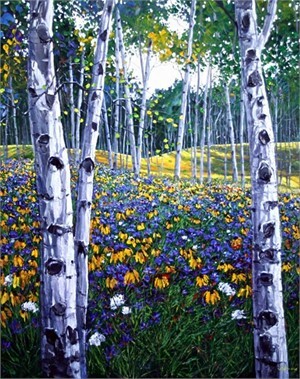 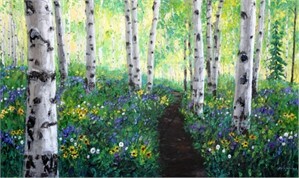 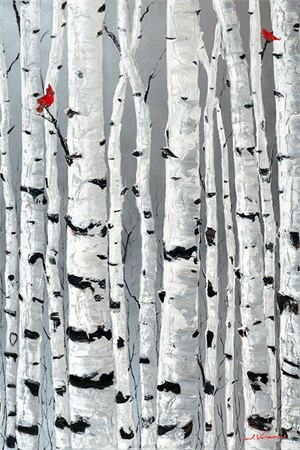 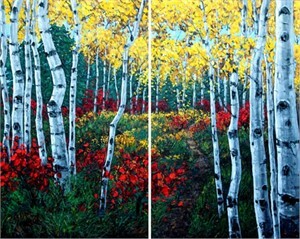 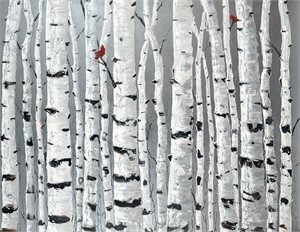 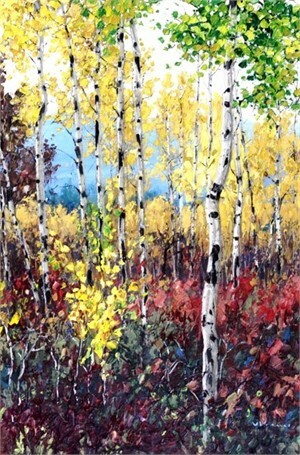 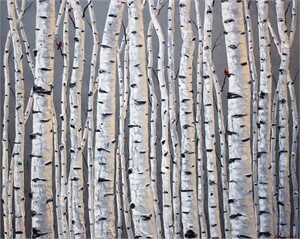 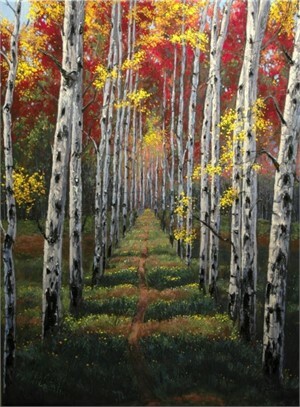 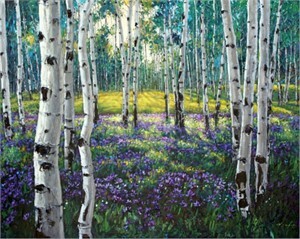 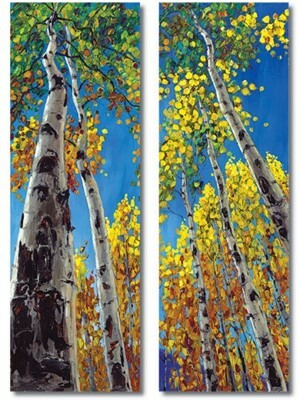 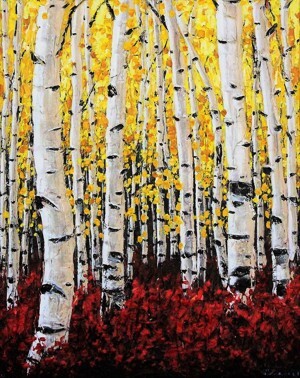 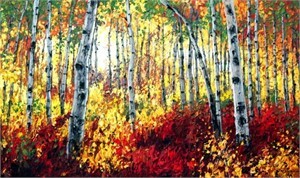 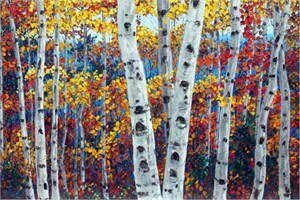 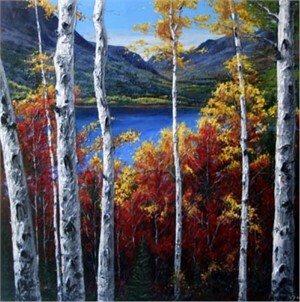 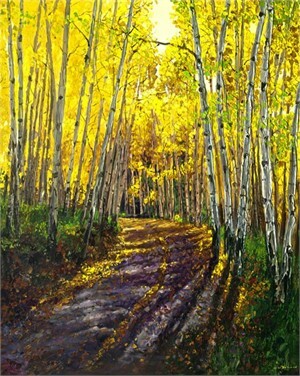 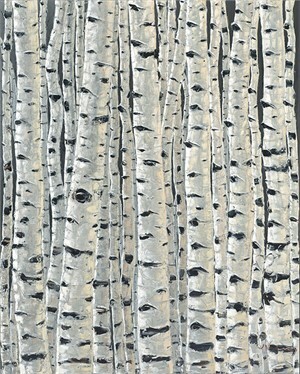 Jennifer Vranes is best known for her large and vibrant paintings of aspen forests and European landscapes. 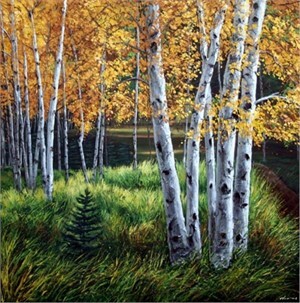 Her trademarked technique using a palette knife to ‘sculpt’ in thick textures has become a favorite among art collectors worldwide. 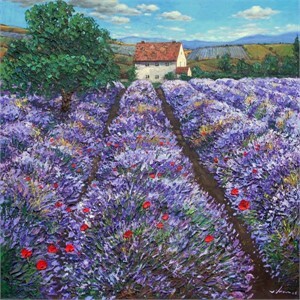 Vranes’ paintings continue to gain attention on an international level. 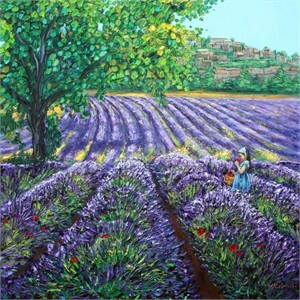 Her artwork was recently secured by the U.S. State Department to be placed in the ART in Embassies collection in Bamako, Mali. 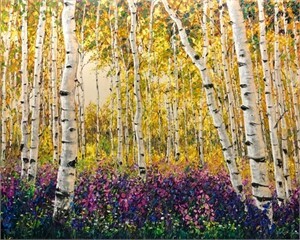 This program is a vital form of cultural diplomacy for the United States: State Department curators select quality works by established artists to represent the talent and perspective of the U.S. in visual art. 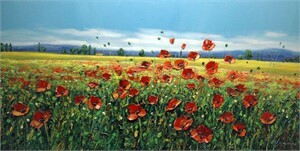 Dignitaries of all countries encounter this exclusive collection. 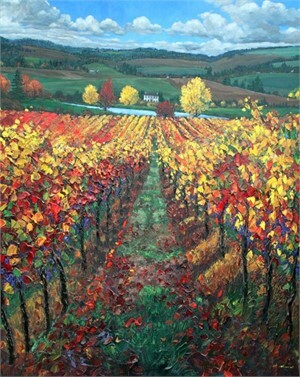 Vranes studied oil painting at Brigham Young University, graduating with a Bachelor of Fine Arts Degree. 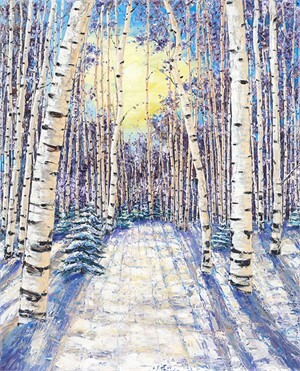 An avid traveler, Vranes finds inspiration from the beautiful places she has seen around the world. 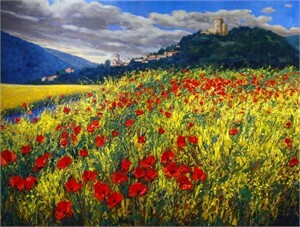 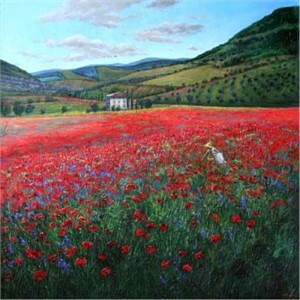 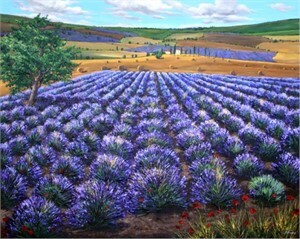 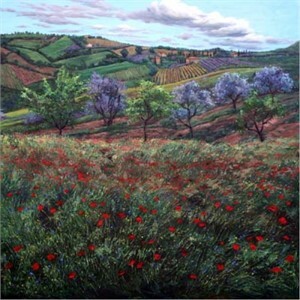 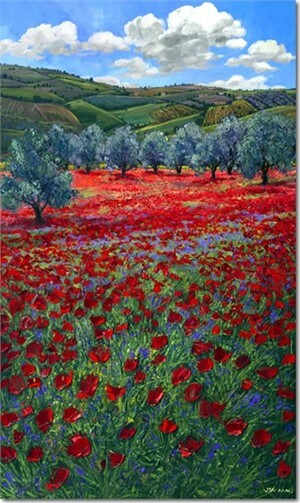 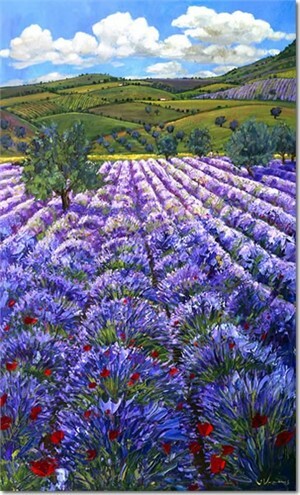 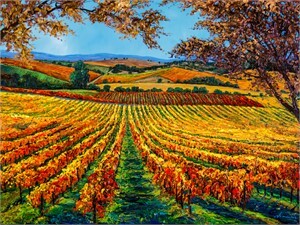 Through her art, she transports the viewer to Tuscany where poppies grow wildly in breathtaking meadows; or to France where fragrant lavender is farmed in lush rows; or to the Rocky Mountains where groves of aspens, asphodels, and white birches quake near rolling streams and rivers. 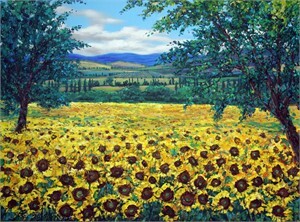 Vranes finds the most beautiful gems of nature, and captures them on canvas with her bravado technique for all to experience and enjoy. 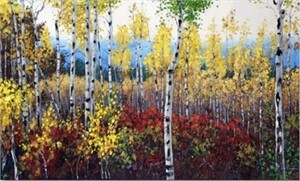 Says the artist, “The greatest compliment I ever received was from one of my collectors. 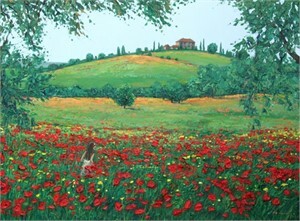 I will never forget what he said about my work: ‘Your paintings make me happy. 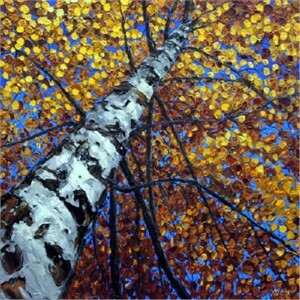 I can look at them over and over again, and feel uplifted.’ His compliment embodies my goal for creating. 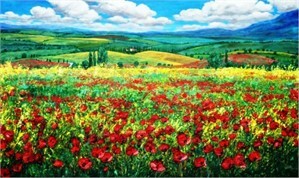 There is nothing more I want in this world than to bring joy to people through my work. 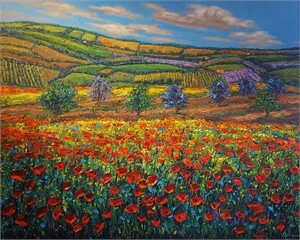 U.S. State Department, Art in Embassies Program, Washington, D.C.